The Resident Involvement Group met this week to discuss how to get tenants into today’s digital world and help to improve their digital skills. I had the pleasure of joining this group in place of my colleague Mark, and boy was I surprised to learn all the different methods at play across the South East. Tenants getting involved is at the heart of many housing associations, as it allows us to work with our residents to improve their quality of life and make changes and develop our services to be the best. A large number of housing associations are present on social media, namely Facebook. This encourages individuals to see past the business aspect of housing, to the care-oriented staff members that celebrate their local community and its achievements. Nonetheless, there will be residents that are not involved with the housing provider, as we either cannot reach them through our current methods or they do not feel they have any real impact. The London & South East RIG discussed current methods for resident engagement, from tenant-based apps to doing scrutiny panels via skype. It is agreeable to see housing staff so intent on trying to reach the unreachable, and challenging their organisations to think outside the box and come up with innovative solutions. Of the different methods discussed, a few really stood out for me as things to bring home to my own organisation. The people that spoke about closed chat groups outlined that on the whole, it was a successful endeavour, and even had some unforeseen positive outcomes, such as a drop-in complaints or queries, where tenants actually aid each other rather than calling in, helping to keep phone traffic down. Behavioural nudge theory is based on the idea that HAs can change/add very minor details in their letters/emails that will ‘nudge’ tenants into behaving differently. For example, a message on a rent account statement that states: ‘85% of tenants in your area pay their rent on time’. This would potentially encourage individuals to acknowledge paying their rent on time as important and be discouraged from not paying at all. In a world of email accounts, social media accounts, billing accounts and such the like, it is imperative for tenants to know how to access these via their mobiles or on a computer/device. Moving systems online and encouraging usage of an account will centralise information for tenants, whereby they can potentially monitor a repair status, check their rent account, or raise a query. Some organisations offered incentives to tenants who sign up, like a chance to win vouchers. Although successful initially, it quickly became apparent that in order to maintain usage of accounts, further incentives would need to be offered or digital skill workshops to enable confidence in ability to use digital technology. In an ever-advancing world, there will always be a need to help inaccessible tenants become a member of their community online and in person. Resident engagement is first and foremost dedicated to making sure this happens, and increasing tenant involvement in development of that community. 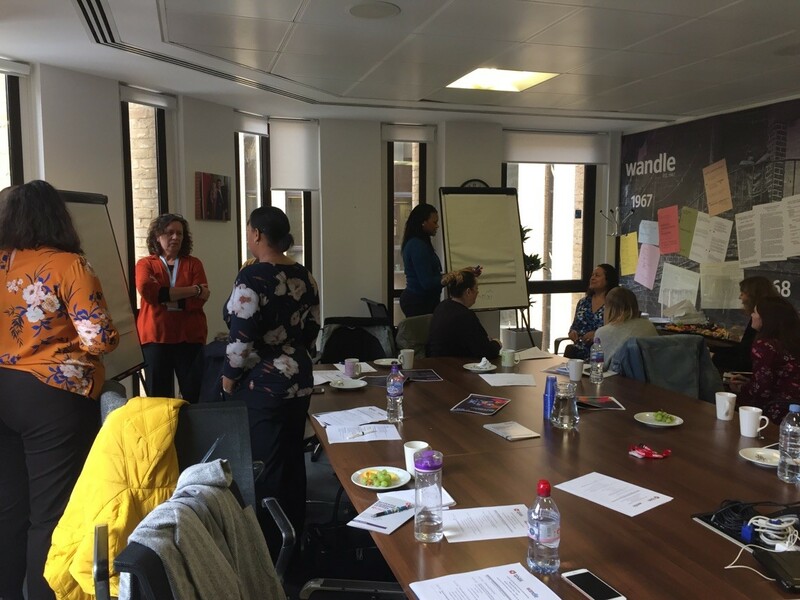 It is heart-warming to know that Tpas and Wandle are planning on running more RIG events and are expanding their horizons and sharing ideas to make sure they have tenant interests at heart. Digital Skills are essential in today’s modern world. Different approaches can deliver the best outcomes. Tenants are at the heart of everything we do.